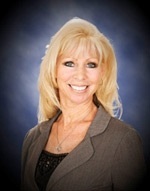 Patricia joined Parkway Financial Group in 2007 and brings with her over 25 years experience in business management. As Executive Office Manager, Patricia administers client service requests, prepares client paperwork and applications, along with meeting set-up and client review preparation. She is also responsible for preparing client investment reports, internal accounting and office operations. Her work reflects strong analytical and planning skills with the ability to coordinate the efforts of many to meet strategic and organizational goals. Patricia holds the REGISTERED PARAPLANNER (RP) Professional Designation from the College of Financial Planning.